An experienced Nursery Manager is sought for a day nursery in Forest Hill, South East London. The setting has been renovated to a very high standard resulting in a modern, welcoming high quality environment which is further enhanced by the extensive high-quality learning resources and equipment. he setting supports its team fully and is committed to promoting the well-being of the whole team. The team are provided access to the Perkbox scheme and a weekly fresh fruit scheme, these are just some of the many benefits. The nursery works towards staffing over and above the legal ratio requirements of staff to children in each room. The Nursery Manager will have a proven track record required to confidently lead the nursery team and to work alongside the supportive directors. The Manager will have the ability and knowledge to recognise and promote the delivery of high quality care and learning within the setting. For details of other permanent and temporary job opportunities, contact us now. Yellow Duck Childcare Ltd, London’s Childcare Specialist. A professional childcare company, run by dedicated childcare professionals, for dedicated childcare professionals. 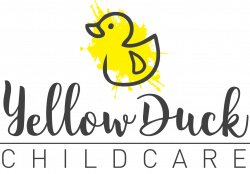 Yellow Duck Childcare Ltd was founded in 2016 by ex-nursery managers Cristiana Da Silva and Eamon Aaron. We always strive to provide open, honest and reliable support to early years professionals. We have over 30 yearsâ experience in working directly in the childcare sector and continue to support settings with training, mentoring and compliance meaning that we truly do understand the needs of those seeking work and nurseries. We pride ourselves on providing the very best settings with the very best candidates and strive to provide the very best service. We have your best interests at the heart of all we do.